Problem gambling doesn’t just affect the individual. It affects family members and friends as well. Anxiety, worry, financial problems and concern over a loved ones gambling can become all consuming. 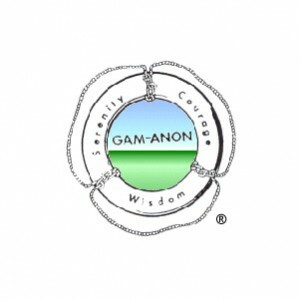 Gam-Anon is a 12-Step self-help fellowship that offers support to those dealing with a loved one’s gambling disorder. “Come join with us. We too were alone, afraid, and unable to cope with the deterioration in our relationships, the financial problems, and the debt caused by the gambling problem. We know that living with the effects of a loved one’s gambling can be too devastating to bear without help. What is my role as the loved one of a compulsive (problem) gambler? How can I be of the greatest help to my gambler who is still gambling? How can I live with the problem? How can I deal with my anger, fear and resentment? Will I ever be able to trust the gambler again? Whether your loved one has stopped gambling or not, you can be part of this supportive group. Help is available through meetings in New York. To find a meeting near you, visit Gam-Anon!